Kennametal Universal 4 Margin Through Coolant Carbide Drill. Kennametal Universal 4 margin through coolant drill are available in 3, 5, 8 and 12 x D drilling depths. They improve hole straightness/hole alignment when drilling across holes and inclines exits. A unique flute design drastically improves chip evacuation and better hole surface quality. This is designed for high productivity drilling applications in all materials. 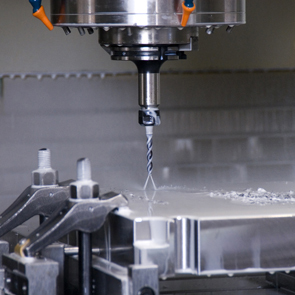 Visit our Kennametal Solid Carbide Drilling page for more information.